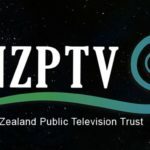 The secrecy around the Trans- Pacific Partnership Agreement talks is on the agenda at this week’s media conference to be attended by MANA Leader and MP for Te Tai Tokerau, Hone Harawira. 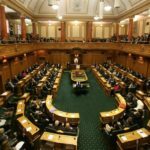 “If corporate bullying, the ceding of our sovereignty, and the inability to make our own decisions and set our own priorities for our own country isn’t enough to walk away from the TPPA like other nations have, questions need to be asked around not just the secrecy of the process, but whether all New Zealanders have been fairly consulted on this document,” says Harawira. 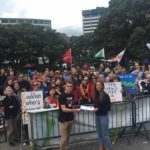 International Day of Action: Kiwis Fight Back! Will Govt purchasing deals prevent support for Living Wage?